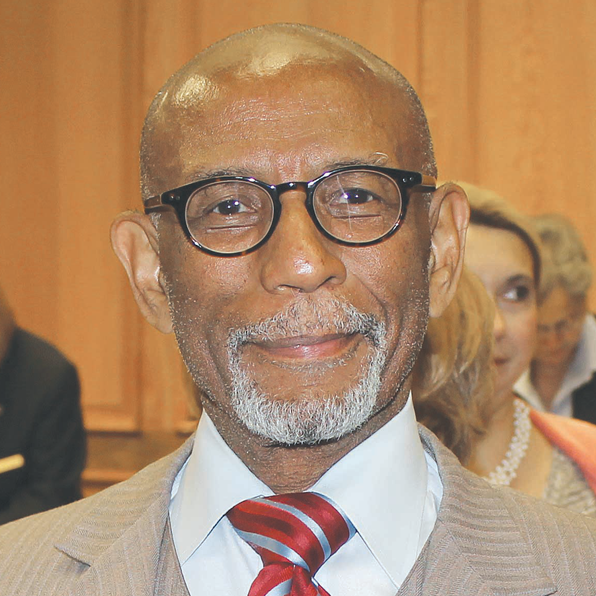 BATON ROUGE — State Sen. Elbert Guillory (D-Opelousas) will be honored during the At Large Conference with the Frederick Douglass Award at Friday’s luncheon. Guillory, a conservative leader in the Louisiana Legislature, was in the news recently when he cast the deciding vote in the state senate in favor of the proposed new Southeast Baton Rouge Community School System. Guillory is a graduate of J.S. Clark High School in Opelousas. He received his undergraduate degree from Norfolk State College in Norfolk, VA, and his law degree from Rutgers Law School in Newark, NJ. He is a practicing attorney. Before being elected to the Louisiana Senate, Guillory was a member of the Louisiana House of Representatives. Because of his conservative views, he has been courted by Republican leaders to switch to the Republican Party. If he were to switch, he would become the first black Republican in the Louisiana Legislature since Reconstruction. Guillory has a long history in civil rights. He was director of the Seattle Human Rights Department and executive director of the Maryland Commission on Human Rights. At Rutgers, he served on the clinical faculty at the law school. In the legislature, he serves as Chairman of the Senate Retirement Committee. He has been speaking out about the fact that Louisiana has $24 billion in unfunded liabilities for state retirement systems. • Last year, Louisiana began to reform its broken education system. However, after some unfavorable court decisions, the legislature has failed to follow through this session with education reform. • Our education system is broken, and one-half of our students do not graduate. • Louisiana must adopt a system of weeding out bad employees, including in the school classroom. Every employer does that, except the state. • Adopting the Southeast Baton Rouge School System is one of the most important things we can do in Baton Rouge, and he is working hard to pass it through the legislature. • Obamacare gives maximum benefit to insurance companies and puts the burden on small business and the individual. • Gov. Bobby Jindal is an expert on health care reform and should come up with an alternative to Obamacare. • State retirement systems are becoming a grave crisis. The politicians promised great benefits to government workers but failed to fund the programs. Today, some local governments are already spending 27 to 30 percent of their budget on retirement benefits. • College is not for everyone, and it’s not a place for a remedial education, but that’s what it’s become in many cases. • We have some colleges with as low as a 4 percent graduation rate, and that is ridiculous. In the past, every senator wanted a college for his community. As a result, we have some colleges a few blocks from one another. We must close or consolidate some of these colleges. a constitutional convention, because people do not trust the politicians. • In many ways, students got a better education in the 1950’s and 1960’s than today, and we should get back to basics. • If there were one thing we could do to get back to our roots, it would be to start the day with prayer, including in our schools. • There are heroes in public education today, and one of them is Ulyess Joubert, the principal at Park Vista Elementary in Opelousas. He refuses to accept teachers who are not qualified. “There’s no issue of having to fire them. He doesn’t accept them in the first place. He’s a Godly man, a warrior who stands for what’s right. More than 60 of his graduates have become physicians. He’s a model for all of us,” Guillory said. • Advisory Board, New Life Center (Home for battered wives and single parents).